On November 8th 2017, NAMI of PA Montgomery County hosted their 6th annual Benefit for the Brain event at the Philadelphia Marriott West in West Conshohocken, PA. The purpose of this fundraiser is to highlight the need for both medical and non-medical research and services for mental illness. The evening began at 6pm with an open cocktail hour, live music, silent auction, followed by a sit down dinner with the presentation of two awards: The Scientific Research Award and The Impact Award. Bracket sponsored this event and some of our team remembers attended the event. By doing this together, we are able to raise funds to educate, support and advocate for those and their loved ones living with mental illness! 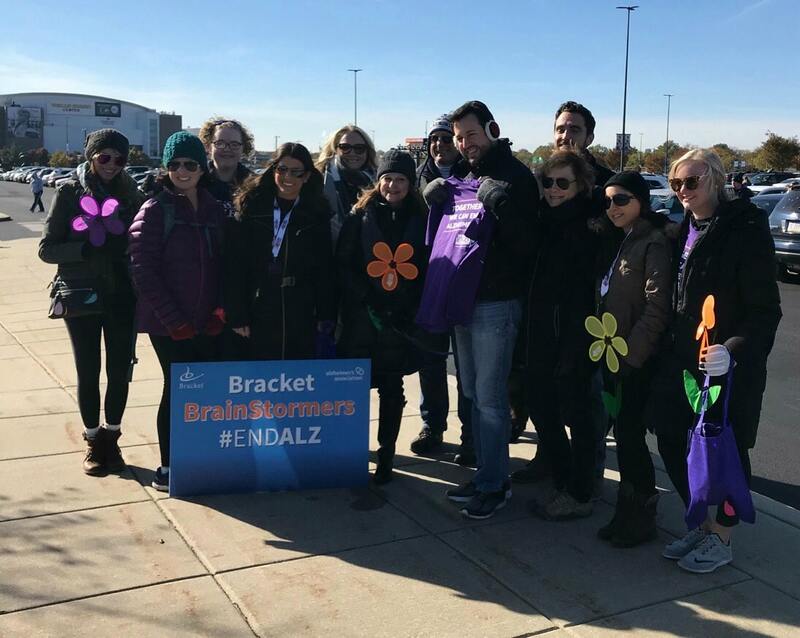 Bracket participated in the Walk Against Alzheimer’s in Philadelphia, PA on November 11, 2017. Not only did our team walk, but we also donated and raised over 7,000 dollars for this event. 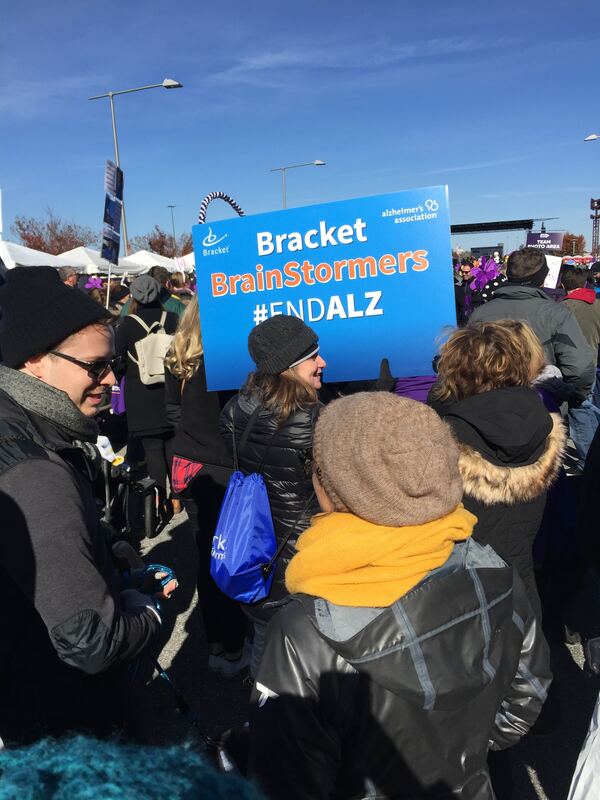 Raising over 300% of our goal has been an amazing accomplishment for the Bracket BrainStormers (team name). Most of us know or have lost someone to this terrible disease. Which is why Supporting the Alzheimer’s Association and the Walk to End Alzheimer’s is a long time passion of ours. Many of us here work on projects everyday that involve research on medications targeted at helping Alzheimer’s patients and their families cope with this awful disease. For some, the struggle is distant. Others have a grandparent, parent, aunt, uncle, or other relative or friend that had or is still living with this disease. Until these research efforts produce a cure, someone in the world develops dementia every 3 seconds. There were an estimated 46.8 million people worldwide living with dementia in 2015, and this number is believed to be close to 50 million people in 2017. This number will almost double every 20 years, reaching 75 million in 2030 and 131.5 million in 2050. We will keep supporting the Alzheimer’s Association and hope these efforts will help find a cure. Through our efforts, we were in 17th place out of 993 teams in fundraising. In addition, we also created the cutest pet contest to help benefit the Alzheimer’s Association. 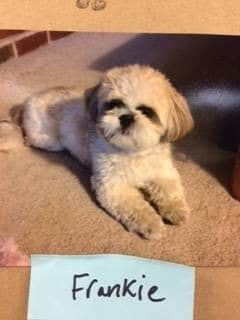 Frankie, pictured here, was our pet winner! Bracket also participated in the Philabundance food drive this month – Camp out for Hunger. The food was raised by our Trevose office from 11 October to 21 November 2017, and was dropped off Monday, 27 of November. 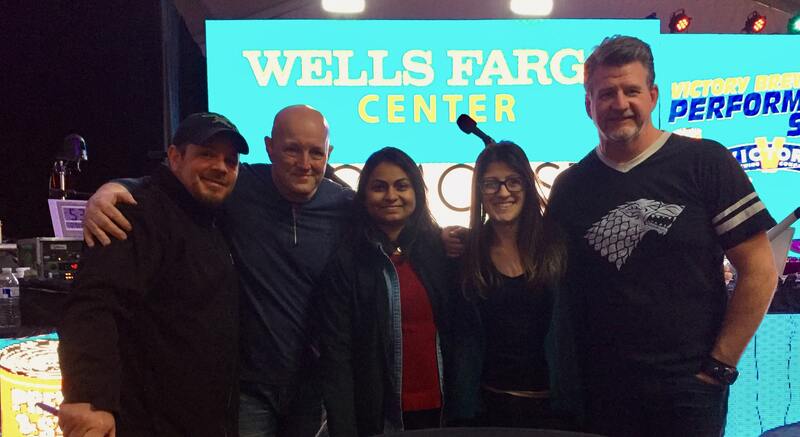 Radio hosts Preston and Steve from WMMR, broadcast live from Philadelphia during this event. In addition, there were heated tents, carnival rides, and food was provided by local restaurants. Philly sports players, politicians and local celebrities stopped by to donate and meet fans. Last year the COFH raised 1.36 million pounds of food. Each pound of food provides two meals. The food raised is collected by Philabundance and distributed at their locations and food banks all over the Philadelphia region. During the holiday season, everyone is reminded that we are lucky to never wonder where our next meal is coming from. As an office, we wanted to give back and help our neighbors in need in the Philadelphia region.